Wins for Fail, Ward and Dacres secure Lionhearts place in the next stage of the competition. 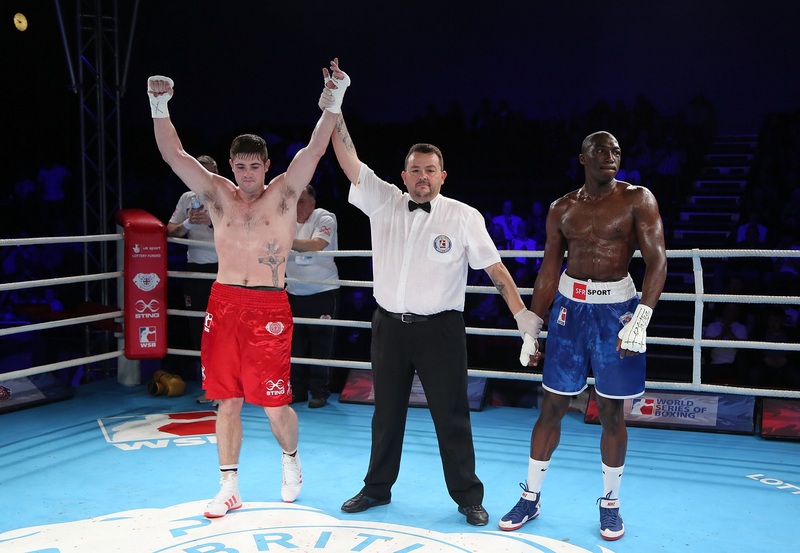 The British Lionhearts secured a roaring 3-2 victory over the France Fighting Roosters in the World Series of Boxing (WSB) on Saturday night (14 April 2018). Three boxers from the team, Carl Fail, Joe Ward and Solomon Dacres delivered victories to delight the noisy crowd at Newport Centre in a tremendous night of boxing for Wales. 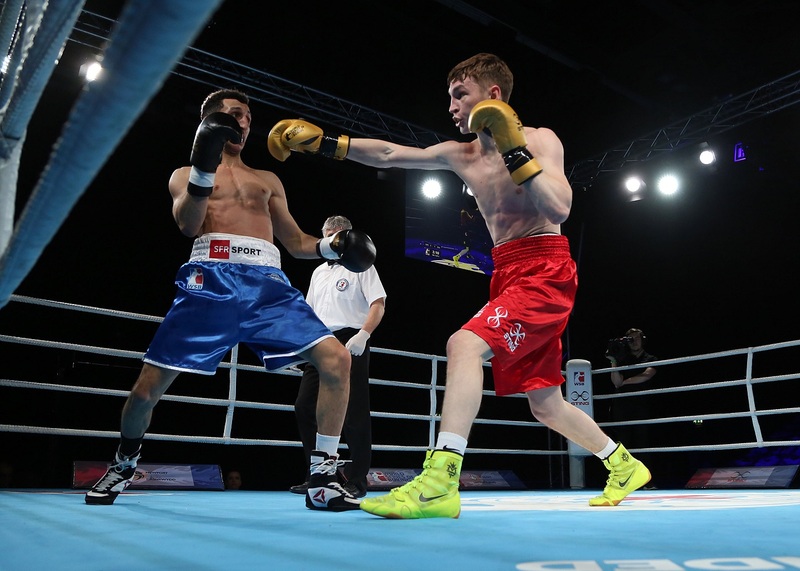 A fifth round stoppage from Ireland’s Joe Ward and a debut victory for GB Boxer, Carl Fail, brought the Lionhearts back in-line with France, after they lost their two opening bouts. It was up to Solomon Dacres to secure the deciding win of the night in his bout against Mihai Nistor. Solomon set the pace throughout the bout and gained a unanimous victory for himself, ensuring that his team made it through to the next stages of the contest. Rob McCracken, Head Coach of the British Lionhearts added: “It was a superb team performance tonight and all five of the boxers did very well. “The boxers who we would usually feature in the WSB line-up are currently away at the Commonwealth Games, so this gave the other boxers the opportunity to step up and show what they could do, putting in some really good performances. 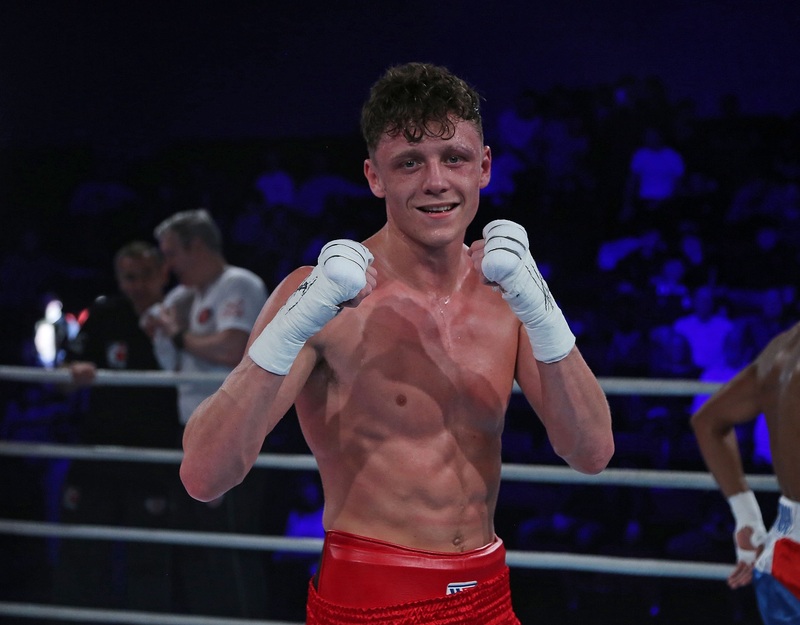 “In the 52kg contest Will Cawley performed well in a hard fought bout with the Bulgarian European Champion, there was very little in the fight with the Bulgarian winning on a unanimous decision. “The next contest was the 60kg bout between Dzmitry Asanau and Sofiane Oumiha, the Belarusian performed really well boxing the reigning Olympic Silver medallist and current World Champion, in what was a tactical battle between the pair, the Frenchman showed his experience in winning a unanimous decision but was pushed all the way by Dzmitry Asanau (current under 22 European Champion), who put in a very good performance. “Following this was the 69kg bout, Carl Fail looked very confidence and boxed tremendously well in his first ever WSB contest, winning by unanimous decision and put on a superb boxing display. “Joe Ward showed his class and experience in stopping Bakary Diabira in the fifth round, the Frenchman who is very tough, solid and busy worked extremely hard but Joe Ward was always one step ahead of him. Joe boxed well throughout the bout forcing a stoppage at the end, getting a very good win. 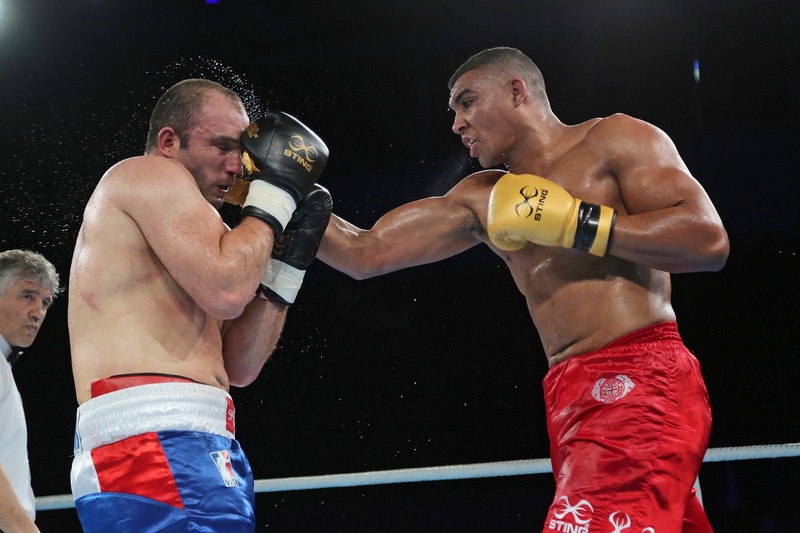 “The last bout of the night was a fantastic contest between Solomon Dacres and a very experienced Mihai Nistor. Solomon fought a tremendous contest, in only his second ever WSB bout. He performed well, landing the better shots throughout and gained a unanimous win against his opponent who pushed him all of the way.